ArtAssistant connects the technical Know-How from hgi systems IT OG with the knowledge from the experienced collector and University Professor Franz Wojda. Together we created a software, uniquely made for the needs of collectors offering a simple and user-friendly handling. Describe artworks individually and in their entirety: with data (ID-number, photos, artist, year of creation, title, art category, measurements, acquisition, location, value, …) with photo archive, biography and with economic data. Create a photo archive with photos, image copyright, certificates and treaties. See the biography of the artwork with preprovenance, exhibitions, publications and references as well as restorations. Categorize your collection and filter them in categories and groups where you choose the characteristics. List your artworks economic data like list prices or purchase prices and encrypt them. Plan and keep records of events like exhibitions and collect information about those involved with the process of collecting. Keep track about rental and the whereabouts of your artworks. Collect without limits – there are no restrictions on the number of items you have in your database. Export your data, e.g. as an excel or pdf file. Secure your important information like purchase prices with a second password. Evaluate single artworks with photo and relevant data and receive a genereal survey of all artworks. Filter e.g. alphabetical, based on artists names, based in ID-number or any other characteristics. Manage your contacts and link them to artworks, if necessary. Alone, together or in a group – with ArtAssistant you can register users and manage your collection together. Create barcodes for your artworks and scan them for a simple and easy for taking inventory. Are you missing a function? Send us a message, we’ll create an offer including the features you need. 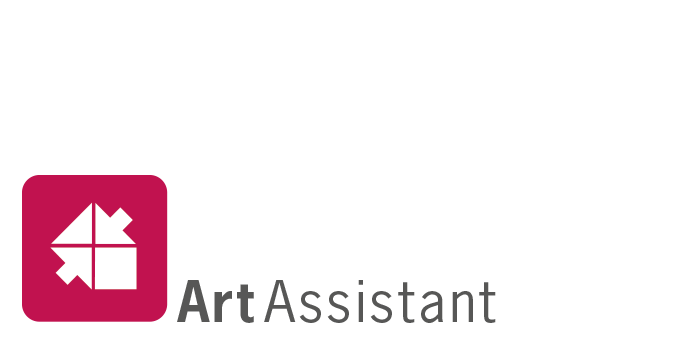 Visit our YouTube Channel and see the various functions of ArtAssistant.